We took a stab at some maternity photos. I think I did alright for having never done that before! 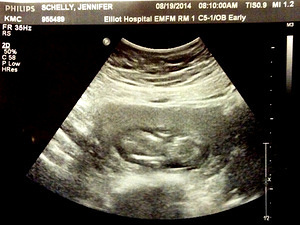 2014-10-03 Update: More ultrasound pictures to share! 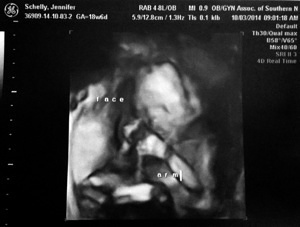 And we found out it's a girl - people seem to be happy about that on Facebook too! We updated the FAQ below accordingly! The announcement on Facebook got a lot of attention. The first pictures are out. The adventure begins! When's the baby geek expected to arrive? 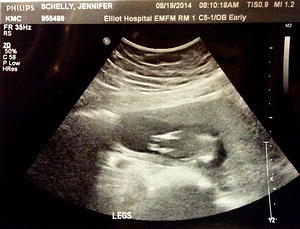 The official due date is February 28th, but Jen's expecting a bit of extra time. March 2015 sounds promising. 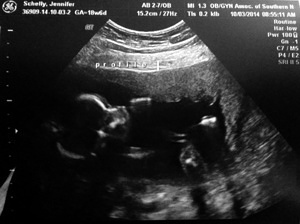 Yes, and it's a girl! Does this mean Neil will have to buy a dress at some point? Can we make this a spectator event? Are you going to tell folks the name?